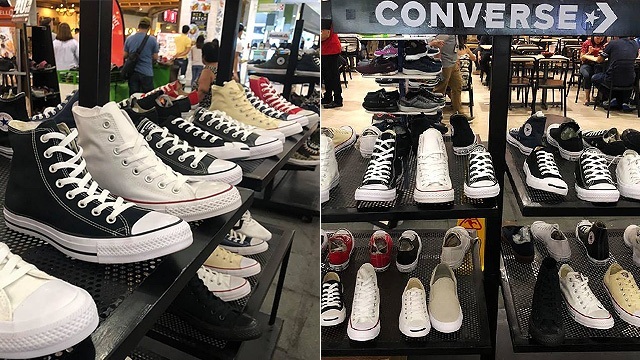 (SPOT.ph) Sad 'cause you can't drop by the Converse Sale happening at Robinsons Forum? 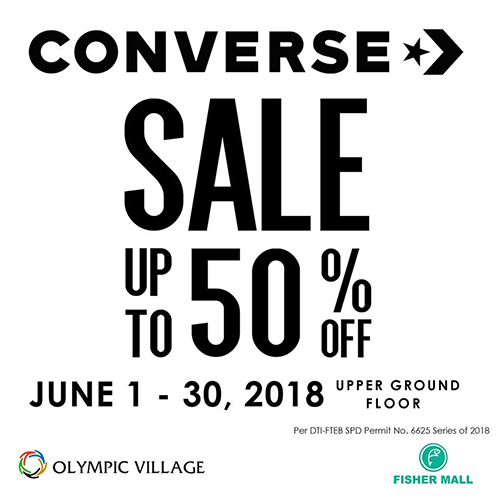 You still have a chance to score huge discounts on cool pairs because Olympic Village at Fisher Mall is also putting Converse on sale until June 30—you have until the end of the month to go sneaker-shopping! You can get discounts up to 50% off on Converse sneakers! 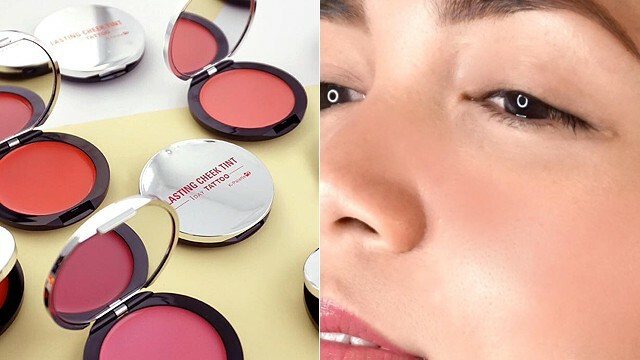 Backpacks, T-shirts, and other apparel are also on sale, so if you're looking for the perfect time to do some shopping, this is it. Just visit the Olympic Village Converse Sale happening at the upper ground floor of Fisher Mall along Quezon Avenue, Quezon City. For more information, log on to Olympic Village's Facebook page.